Governor Pete Ricketts was sworn in as Nebraska’s 40th Governor on January 8, 2015. Governor Ricketts was first elected to office upon winning the Nebraska gubernatorial election on November 4, 2014. 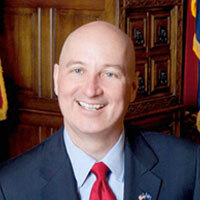 Prior to his election as governor, he worked to support Nebraska entrepreneurs and startup companies. Born in Nebraska City and raised in Omaha, Ricketts is the son of an entrepreneur and a public school teacher. Governor Ricketts and his wife, First Lady Susanne Shore, have been married for 18 years and live in Omaha with their three children, Roscoe, Margot and Eleanor. Lt. Governor Mike Foley is a dedicated public servant who has led the efforts to protect Nebraska taxpayers and our pro-life principles. 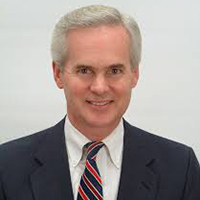 From 2007-2015, Mike served as Nebraska's 24th State Auditor. In 2010, he was re-elected with over 80% of the vote. From 2001 - 2007, Mike served in the Nebraska legislature where he fought against wasteful tax spending and supported policies that helped protect our families and the future of our children. The Secretary of State has responsibilities over the following areas: elections, business registrations, occupational licensing, state rules and regulations, records management, international relations and youth civics programs. The Secretary of State is the keeper of the Great Seal of the State of Nebraska, and the office is the repository for official state documents. By law, the secretary of state serves on a number of state boards. John Murante was born February 6, 1982 in Omaha, Nebraska. He is a proud graduate of Skutt Catholic High School and the University of Nebraska-Lincoln. He married his wife, Melissa, on December 22, 2007, and they have one daughter, Talia. He is the former President of the iconic Big Fred’s Pizza in Omaha. In 2012, Murante was elected to represent the Gretna-based 49th Legislative District in the Nebraska Unicameral. 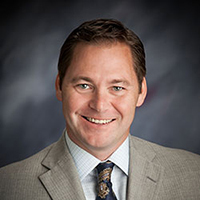 During his time in the Nebraska Legislature, he served as Chairman of the Government, Military, and Veterans Affairs Committee as well as Chairman of the Special Committee on Election Technology in 2016. He also sat on the Unicameral’s Transportation Committee. 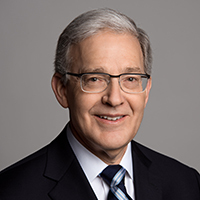 As a State Senator, he served as the Chair of the National Conference of State Legislatures Elections and Redistricting Standing Committee, and on the advisory committee to the U.S. Election Assistance Commission. 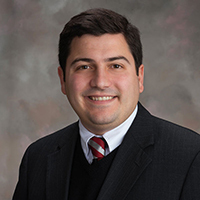 Treasurer Murante is a member of St. Patrick’s Catholic Church, the Knights of Columbus, Gretna Optimists, and serves on the board of Partnership 4 Kids. 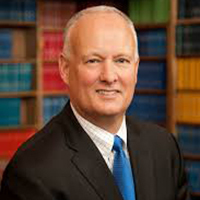 The Attorney General is one of six constitutional officers in Nebraska. The duties and authority of the office are derived from the State Constitution, statutory enactments and common law. The Attorney General is responsible for the representation of the state in all legal matters, both civil and criminal, where the state is named as a party or may have an interest in the outcome of the litigation or dispute. At any given time, the office has more than 2000 active cases in areas as diverse as prosecution of child abusers and major drug dealers, environmental protection enforcement, tort claims, death penalty appeals, water law, wrongful discharge from employment, eminent domain-gov, state constitutional law, federal constitutional law, consumer protection, professional licensure, and inmate litigation. As one of five elected constitutional officers, the State Auditor provides an independent and objective assessment of the State of Nebraska's governmental operations. The Auditor of Public Account's (APA) office is working to help provide efficient, reliable, and responsive government. The APA regularly reviews government operations to ensure compliance with State and Federal laws. We also assess the adequacy of current controls over billions of dollars of State and Federal spending by State agencies and political subdivisions.